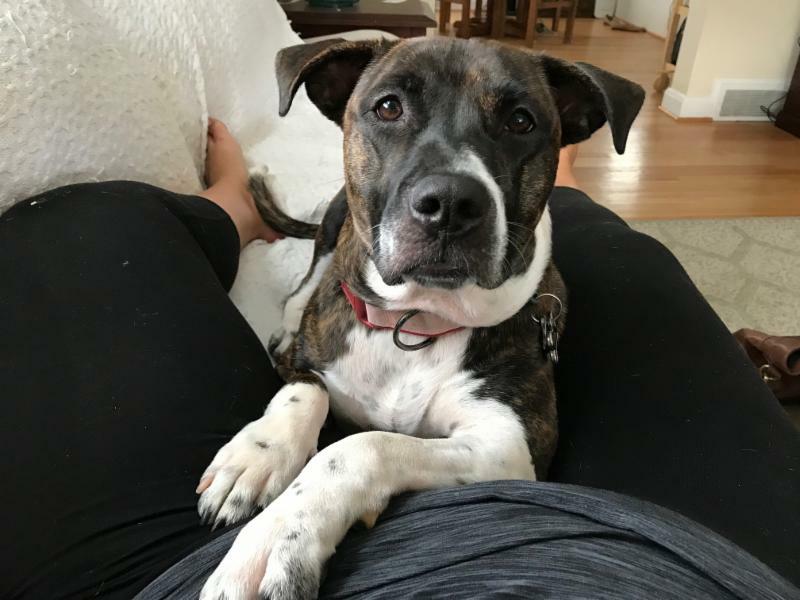 Mable was granted a second chance at love when her family adopted her and another chance at a happy life through BARCS' lifesaving programs. Two days before Christmas in 2017, Mable got the best gift a dog could ever ask for: a home. New parents Sara and Kyle were thrilled that this playful and sweet puppy was going home with them. For many pet parents, this is where the story ends. But for Mable, it was just beginning. This wasn’t Mable’s first time going home with a new family. It wasn’t her second either. Although she hoped that the third time was truly the charm, Mable was a very scared little girl. Because she had been surrendered in the past, she was afraid of people she didn’t know. Mable’s fear of strangers meant that she couldn’t attend Sara and Kyle’s family events, which had lots of people Mable didn’t know. After trying some training tricks on their own, Mable’s new parents quickly realized that they were in over their heads trying to train this spirited puppy. More than anything, Sara and Kyle wanted to give Mable the life that she deserved. But to do that, they needed to learn what caused her to be so fearful and stressful. Sara explained, “The more we got to know Mable, we saw this incredibly bright and adventurous part of her. But she was lacking confidence, and no one ever taught her the rules. We knew that we didn’t have the background or knowledge to address her needs, and what we were doing at home wasn’t working. We decided that we needed to learn how to set her up for success so that she could enjoy everything that life has to offer. Because they had adopted Mable from BARCS, Sara and Kyle could take advantage of unlimited free training with our Training and Enrichment team. They got in touch with BARCS’ Training and Enrichment Manager Matt, who recommended they focus on counter conditioning her undesirable behaviors. Matt also suggested that Mable complete the six week basic training curriculum through BARCS University. Outside of class, Sara and Kyle educated their friends and family on how to meet a nervous dog like Mable. Soon, Mable learned how to become more comfortable meeting strangers and was invited to family events. Mable’s training gave her the confidence, freedom and happiness she deserved. Most importantly, it also built a trusting and dynamic relationship between Mable and her parents. 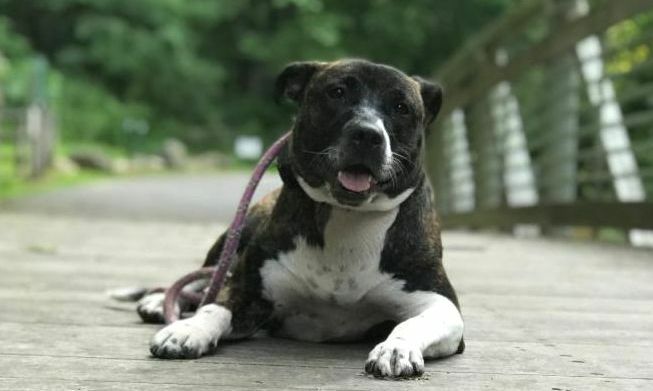 Once cooped up at home because of her fear, Mable now enjoys hiking, swimming, car rides and other dog-friendly activities. “As two young working adults, we feel so fortunate that BARCS offered this training at no cost. Our lives would have been very different without it! I brim with emotion and pride when I think about how far she has come, and we really have Matt and BARCS to thank for teaching us how to train her,” Sara says.